To create a brand and identity for the The Royal Regiment of Fusiliers 50th anniversary ‘Fusilier 50’, to support a whole host of activity and celebrations planned for 2018. As part of a pitch process managed by the Fusiliers, we presented a bold, confident and modern identity which was in-keeping with the regimental tradition and values. By using simplified graphical representation of the badge and hackle we created something that felt both prestigious and celebratory. The identity is slowly being rolled out across initial communications, but will play a pivotal role in the full programme of events planned for 2018. 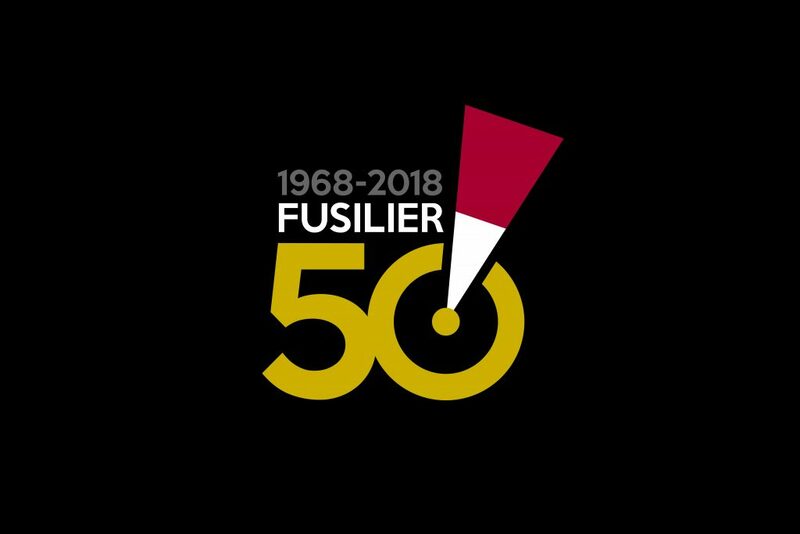 ‘It’s an important year for the Regiment and we wanted an identity for Fusilier 50 which would form an integral part of next years exciting plan of events and something which would resonate with all our key audiences’. Gini Wilde, PR and Marketing Manager for Fusilier 50.